Non is Rocchi's best girlfriend. I approve of this! Also, I remembered her when she voiced Touka Yada (OVA version). 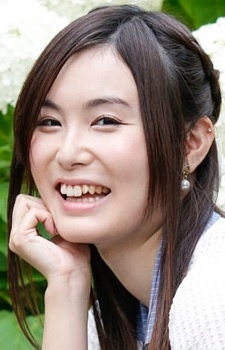 A pretty new seiyuu but she did an ok job on Mahoro, Hinata and Sasha. Nothing special though unfortunately, thought she may improve in the future. Hajime and Yuzu~ Happy birthday! Kii-Tan, Hajime Shinoda, Non, Chiba, Amana, Deborah And Yuzu Iizuka! Under rated seiyuu here, hope most studios discover her. She has really really reaaaaaally high potential. She did great as Mikan-chan! Didn't sound like a first-timer. I can't believe Yuzu is her only role! I absolutely love her voice!